Errr, and what's not 'mature' about Just Dance, Ubi? The Wii U is having a shift in fortunes right now, with post-E3 sales getting a big wind from a strong show in Las Vegas and the launch of Mario Kart 8. But just when things looked like they were picking up, a couple of big publishers have started scaling down support. Despite the fact the last two Call of Duty games were available on Wii U, Activision has decided to skip Nintendo's console with Advanced Warfare. Michael Condrey, co-founder of the game's developer Sledgehammer, responded to a question on Twitter to confirm the fact. "No, no Wii U. That was an Activision decision," he said. "We are focused on Xbox One, PS4 and PC." We've asked Activision why it's dropped support for the Wii U, and we'll update if we get a response. Unfortunately this comes alongside news that Ubisoft is also scaling down its support for Nintendo's console. 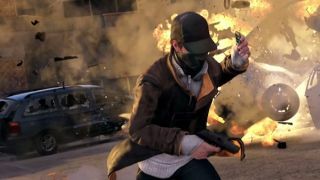 Speaking in an interview with Game Informer, Ubi CEO Yves Guillemot said that Watch Dogs will be the last "mature" game for the Wii U. "We we see is that Nintendo customers don't buy Assassin's Creed. Last year [with Black Flag] we sold in very small numbers." This is perhaps a bigger deal for Nintendo, given that Ubi has been a big third party supporter of the U since launch. But Wii U game sales made up a mere 3 percent of the company's total for the last fiscal year, compared to the PS4's 9 percent and the Xbox One's six percent. But it won't be completely jumping ship with Guillemot adding: "What we see is that they are very interested in Just Dance, very interested by other kinds of games. "So what we are trying to do is to focus more on the types of games they are interested in." But hey - we all know it's about first party games anyway - so check out our Wii U review?